Thank you, thank you, thank you to all who participated in Makeshift's final reading: Potty Mouth. To Ramon, Christine, and Imani: you were brilliant and inspiring! Thank you for sharing your stories and poems with us. To our open mic readers: you were all on point. And of course, thank you to all who contributed to the zine and to all those who came out to watch. We are also thankful for the Rendezvous, who gave us the best stage we could have asked for (and let us adorn it with toilet paper). As stated in the zine, this is goodbye for now to the Makeshift readings; but hello to a new project coming this fall. We are in the very, very early stages of creating an online literary journal. We want to continue celebrating themes and providing interactive, creative spaces for artists. Official launch of this project is TBA. In the meantime, here are some photos from Potty Mouth! 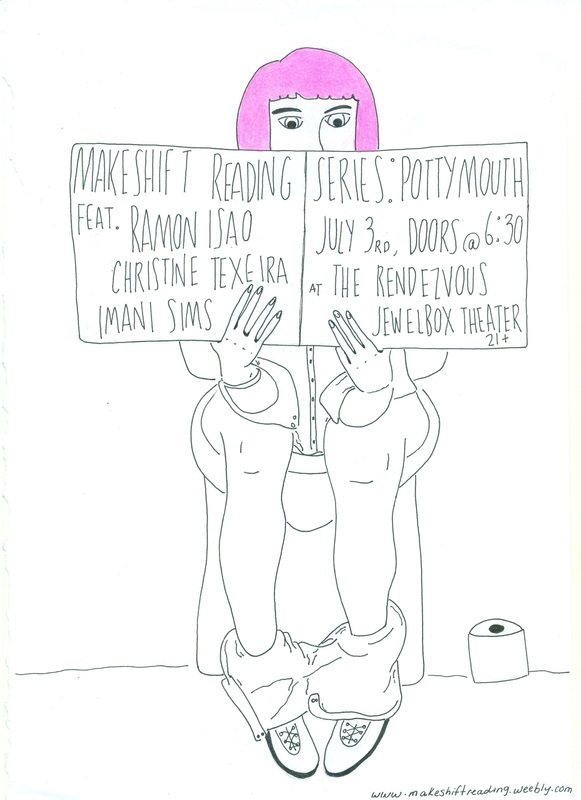 Makeshift Reading Series: Potty Mouth poster art is here! 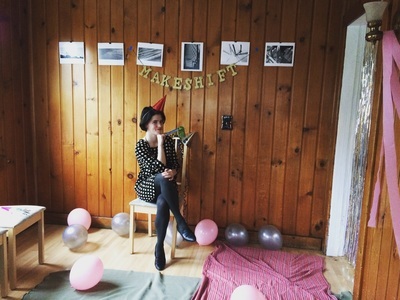 Makeshift Reading Series Presents: Potty Mouth! It's time! We would like to announce Makeshift's next event, which will take place on July 3rd in the Jewelbox Theater at the Rendezvous, located in Belltown. We are so, so very excited to welcome Imani Sims, Christine Texeira, and Ramon Isao as our featured readers. They will be sharing their work in the spirit of our theme: Potty Mouth. 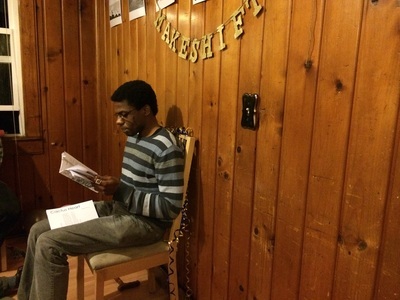 There will be an open mic to follow our featured readers, so bring work to share! Doors will open at 6:30, show at 7:00. There will be a $2 suggested donation at the door, and the event is 21+. Venue location can be found below. Of course, with this announcement comes OPEN SUBMISSIONS to the MAKESHIFT ZINE for this quarter. We would love to see a giant medley of work in this final Zine. We are calling for prose, 3-4 pages in length, poetry, 2-3 poems, and visual art. Both previously published and unpublished work are accepted. Work is encouraged to fit the theme but is not required to. Please email submissions to makeshiftreading@gmail.com. Event art will be posted here soon and available on street posts and coffee shops near you in the next week or so! Makeshift Reading: Potty Mouth will be held at the Rendezvous, 2322 2nd Ave. Seattle, WA 98121. Event will take place in the Jewelbox Theater. Food and drink will be available for purchase. $2 suggested donation at the door. 21+. Visit http://www.therendezvous.rocks/ for more venue info. Ah, yes, 'A Moveable Feast'. 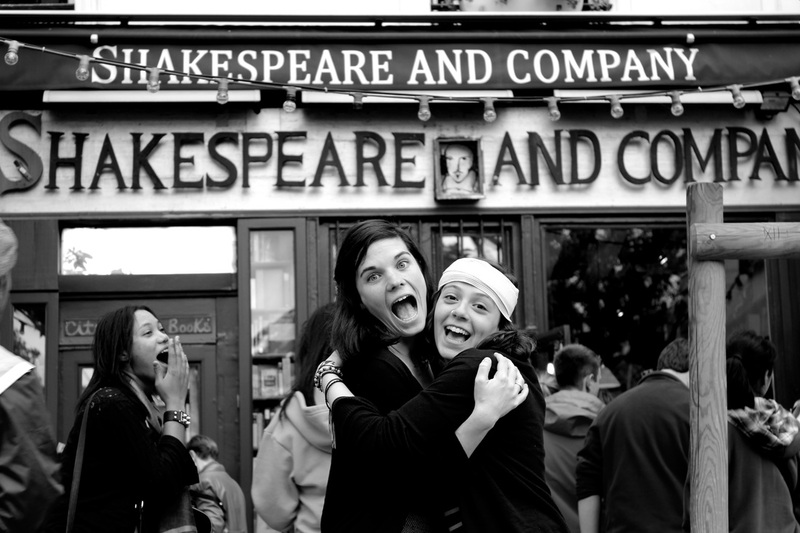 Before we make announcements, let's take a look back at Mary and Danielle (to the left) re-enacting this epic photo of Sylvia Beach and Ernest Hemingway (to the right) in front of Shakespeare and Company in Paris. Hopefully, this will inspire all of you to go out and create your own versions or explore your own interpretations of 'A Moveable Feast', in writing, paint, poetry, fiction, photography, and more. 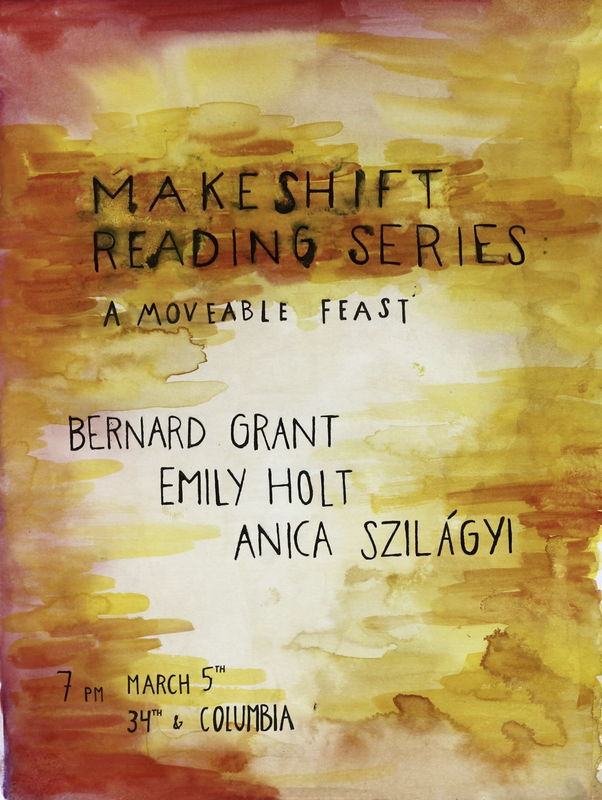 This quarter, Makeshift Reading Series is celebrating the theme 'A Moveable Feast'. Our three featured readers will Bernard Grant, Emily Holt, and Anca Szilagyi. The event is located on 34th and Columbia, at 7 pm. As usual, there will be an open mic to follow our readers, so please come with material if you wish to share your work! 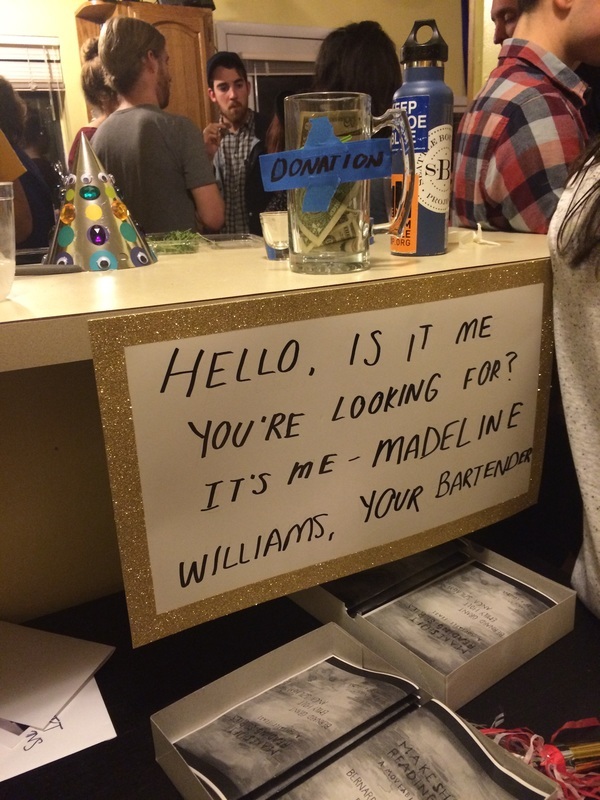 A new and exciting addition to this event will be Madeline Williams as your Spectacular Bartender, who will be serving a special cocktail in the spirit of A Moveable Feast. We are very excited to have Madeline, as no-one can peel an orange rind and make it all twisty quite like her. Event art designed by artist Rachel Young will be posted around the city, as well as here on our website within the next few weeks, so be on the lookout. Please do not forget to submit to the MAKESHIFT ZINE this quarter. Calling for prose, 3-4 pages in length, poetry, 2-3 poems, and visual art. Both previously published and unpublished work are accepted. Work is encouraged to fit the theme but is not required to. Please email submissions to makeshiftreading@gmail.com. Hello! It's about that time of year again for your next Makeshift Reading. Browse through the site, and you will notice a few new things. One very important addition to Makeshift Reading is that we are now accepting donations via paypal, at paypal.me/makeshiftreading. As stated within our site, we intend to keep Makeshift Reading free & public, and we produce and create each reading event from the bottom of our hearts. With this said, we pay for all event materials, including the Makeshift Zine, out-of-pocket. 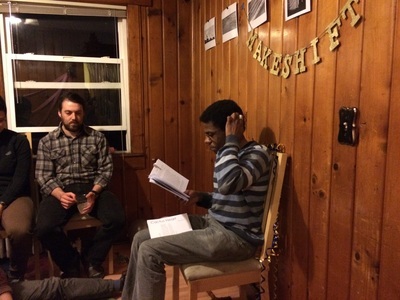 If you would like to make a small contribution to Makeshift Reading, we would love your help. All donations will be used for the production of the next Makeshift Reading. Tentatively, we will be holding this quarter's reading in very early March at a location that will be revealed soon. We almost have three featured readers lined up. 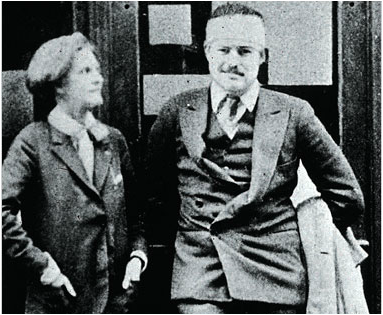 This quarter's theme will be 'A Moveable Feast', inspired by but not limited to Ernest Hemingway's memoir. He writes, "If you are lucky enough to have lived in Paris as a young man, then wherever you go for the rest of your life, it stays with you, for Paris is a movable feast." We are excited to hear different interpretations of what 'a moveable feast' means to our audience, participants, and readers. And remember! Makeshift Zine is always in the works. We are now accepting submissions to this quarter's Zine, and your pieces do not strictly have to fit the theme. Check back in a few days for more details about our next event. We have been hard at work trying to put together the next Makeshift Reading event. Ada's Technical Books & Cafe to host us. Ada's is located on 15th Ave East in the Capitol Hill neighborhood. Visit Ada's website for Makeshift event info and more news & events. Thank you to all who came out and participated in the first ever Makeshift Reading. The night was hot, and we were all sweaty, but we made it through! Enjoy photos from the evening, where you cannot tell how hot it truly was. 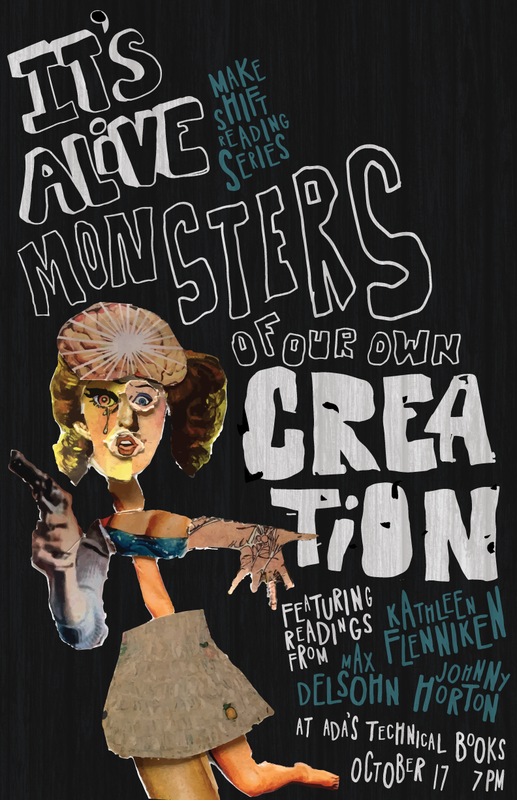 P.S., stay tuned for more information about our next Makeshift Reading, tentatively in October. We'll be revealing the theme within the upcoming months, and looking for a new set of featured readers! Remember to contact makeshiftreading@gmail.com for any questions or comments. Photos by Katie Thompson and Rob Reinhardt. 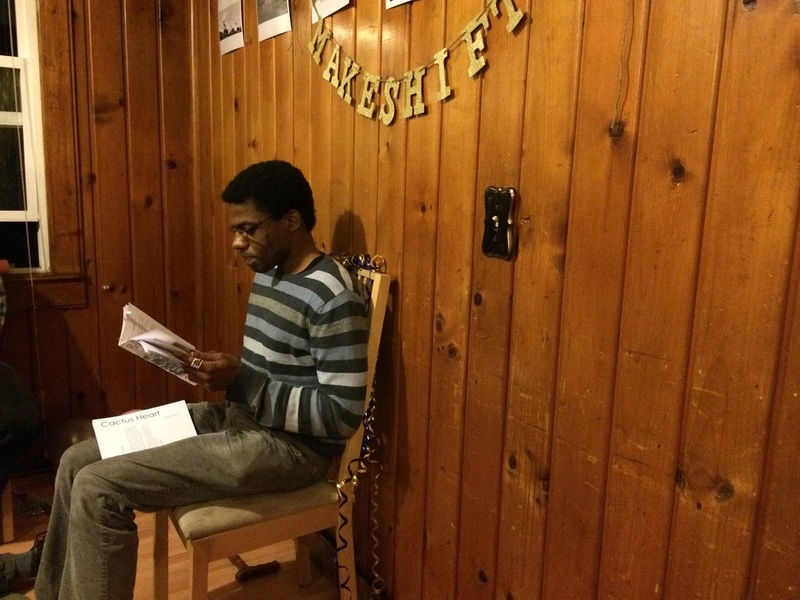 Makeshift Reading Launch: 1st Quarterly Event! 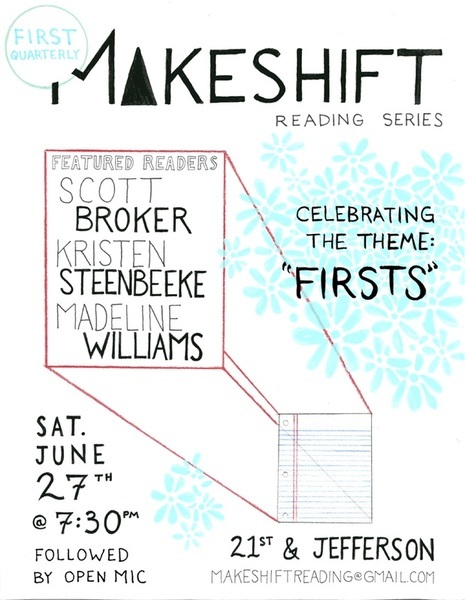 Join us at the launch of the Makeshift Reading Series on Saturday, June 27th at 7:30 pm to celebrate the theme: Firsts! 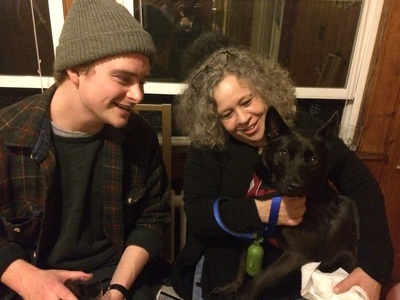 The Makeshift Featured Readers of the Night will be Madeline Williams, Scott Broker, and Kristen Steenbeeke. There will be an open-mic to follow. To participate in the open mic, drop your name in the bowl during intermission. Eight readers will be chosen at random and will have five minutes to read. This first ever Makeshift Reading event will be held at 21st and Jefferson, located in the Central District of Seattle. Signs will be posted at 21st and Jefferson cross-streets on the evening of the 27th to guide visitors to the home. 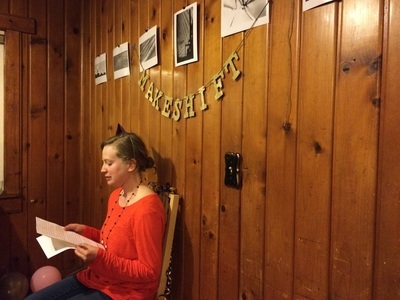 For any questions or for more inquiries on the location of the reading, please contact makeshiftreading@gmail.com. Come join us for our very first time and enjoy a night of stories about Firsts! This first ever Makeshift Reading event will be held at a home on 21st and Jefferson, located in the Central District of Seattle. Signs will be posted at 21st and Jefferson cross-streets on the evening of June 27th to guide visitors to the home. For any questions or for more inquiries on the location of the reading, please contact makeshiftreading@gmail.com.